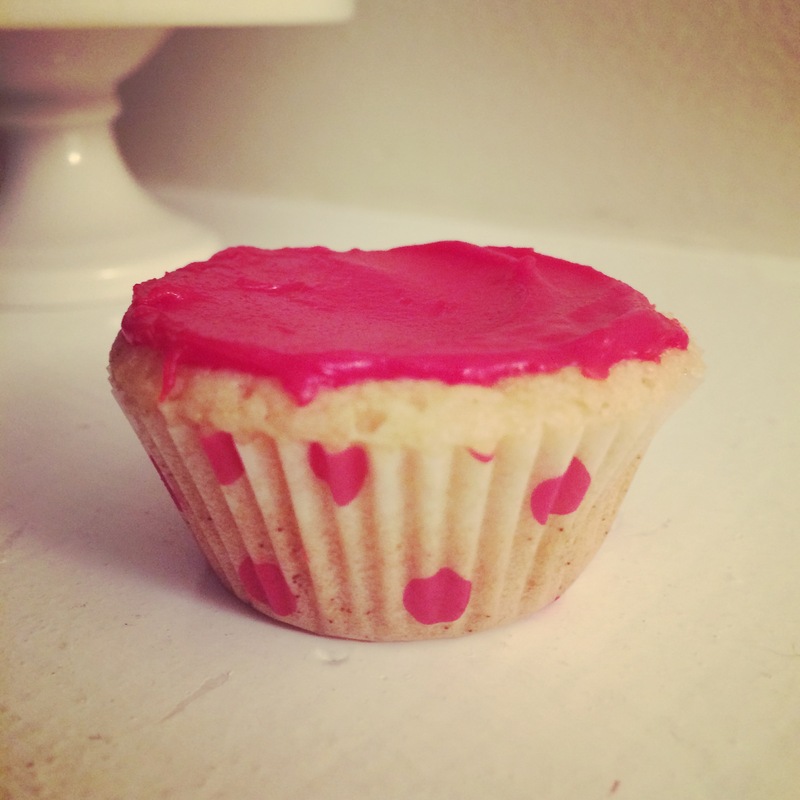 Same story as my chocolate chip cookies but for a scrumptious vanilla cupcake recipe! Preheat oven to 350F degrees. Line (1) muffin tins with 12 cupcake liners. Set aside. In a medium bowl, mix flour, baking powder, baking soda and salt. Set aside. In a large bowl, using an electric or stand mixer on medium speed, beat eggs and sugar for about 2 minutes, or until light and creamy. Beat in the dry ingredients on low speed until blended. DO NOT OVER MIX! Add the sour cream and beat until smooth. Fill each cupcake liner about 3/4 the way full with cupcake batter. Bake 18 to 20 minutes or until toothpick inserted in center comes out clean. Allow cupcakes to cool before frosting.